Want to feel superhuman? Superfoods can give you superpowers! Superfoods are health boosters that can be easily added into your diet. They can help you reach specific health goals like greater strength, energy or immunity. Superfoods are concentrated sources of nutrients that can help fill a nutritional gap in your diet e.g. a need for extra protein. They can nourish your brain and body, build healthy skin, bones and muscles or boost your health and vitality. You can simply use superfoods to help maintain good health, or select them to suit specific purposes. Superfoods can aid in recovery from injury or illness, boost resistance during epidemics, support your body through stressful times, be used as aids during detox or help you recuperate after indulging. Nutritional factors are proven to be important in healing and management of diseases. The right superfoods can help the body stay healthy or ‘fight back’ against disease and stress. Even a diet high in fruit and vegetables may not be as nutrient-rich as you think. By the time that food has reached the supermarket, nutrients have been lost in the harvest and transport processes. Foods grown in depleted soils may not have the same uptake of nutrients from the earth, and therefore be lower in minerals and trace elements such as zinc, selenium and magnesium. The nutrient value of food is further depleted by the presence of fertiliser and pesticide residues. Modern life exposes our bodies to a higher level of pollutants, and coupled with poor diets or nutrient deficient foods places extra stress on our immune systems. Superfoods aren’t a quick fix for people who are neglecting their health. You need to take care of your basic health through healthy eating and keeping fit. All the superfoods in the world won’t help you if you’re a couch potato on a SAD diet... although the placebo effect just might be enough to get you moving, and that’s a good thing too! Superfoods are easily added to your diet as seasonings, smoothie ingredients or salad dressings. You can sprinkle dulse on your meals for a salty flavour, add spirulina powder to smoothies, add cacao to desserts or use hempseed oil in salad dressings. Although many superfoods are available in tablet form, it's easy to add them as wholefoods directly to your diet. While it's simple to add a tablespoon of a superfood to a smoothie or salad, when you have the time to spoil yourself you can get fancy. There are some great superfood recipes at NavitasNaturals.com . My favourite is the brain-food shake, although I leave out the mesquite and use agave syrup instead of yacon syrup. The holiday chia pudding is a sweet and healthy comfort food that's also worth taking the time to make. This list of the top 10 healthiest foods is a great place to start your healthy eating plan. Power yourself up with the healthiest foods to eat. This list of top superfoods comes from people who have experimented to find the best superfood to suit their body and health. Use this list of superfoods to research a good superfood match for you. There are also the Clark Kents of the super food world – everyday fruits and vegetables that are especially high in powerful combinations of nutrients. The everyday healthy food list includes beetroot, capsicum, broccoli, apples, bananas, garlic, ginger, spinach and parsley. 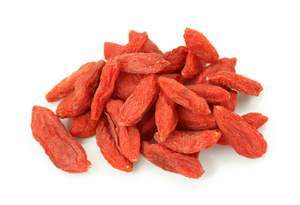 These regular super foods (in disguise) can also be powerful health boosters, without the price-tag of the top superfoods. Check out this healthy food list to find out more. Kickstart your healthy intentions and join the Superfood Challenge. Straten, Michael van & Griggs, Barbara. (1990) Superfoods. Lothian: Melbourne. Straten, Michael van & Griggs, Barbara. (1992) Superfoods Diet Book. Lothian: Port Melbourne. Tietze, Harald W. (c1996) Spirulina: Micro Food Macro Blessings. Phree Books: Bermagui South. NavitasNaturals.com - Goji, Acai, Cacao, Maca... Superfoods!